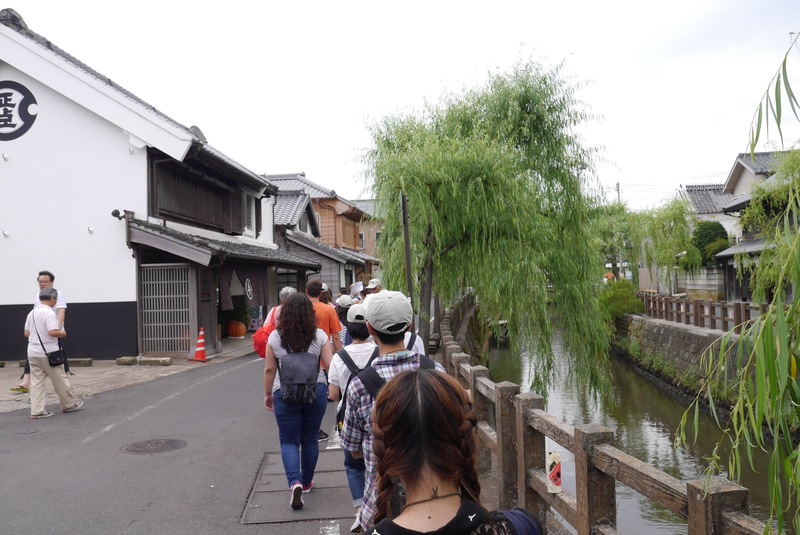 On Thursday (August 13), we visited another project, which is famous in Japan for being a successful endeavor to revitalize a provincial town through the restoration of its historic district. 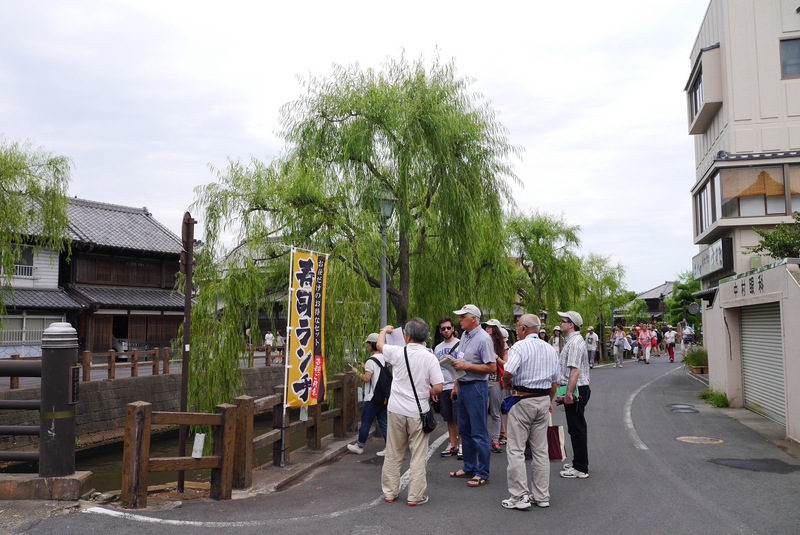 Sawara’s town center is characterized by its canals and its traditional streetscapes which reflect the economic development of the area from the late 18th c. to the early 20th c. The town is designated important traditional building group preservation district and a national model for community-based development. 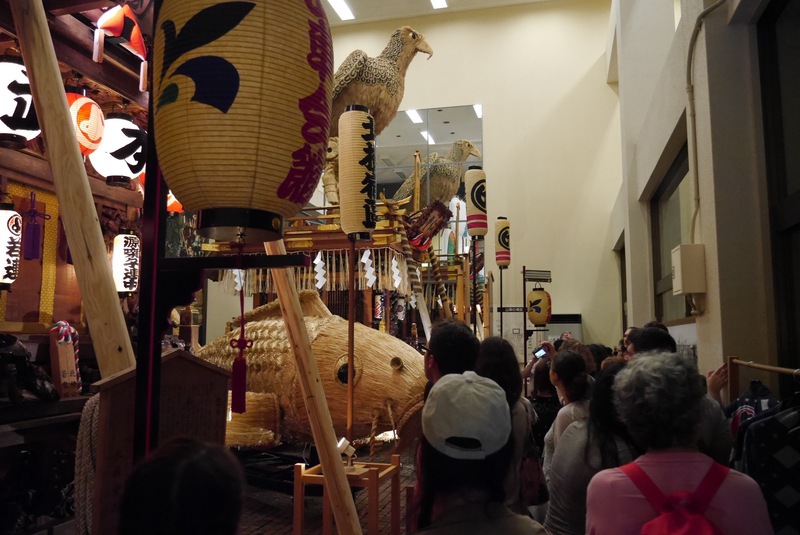 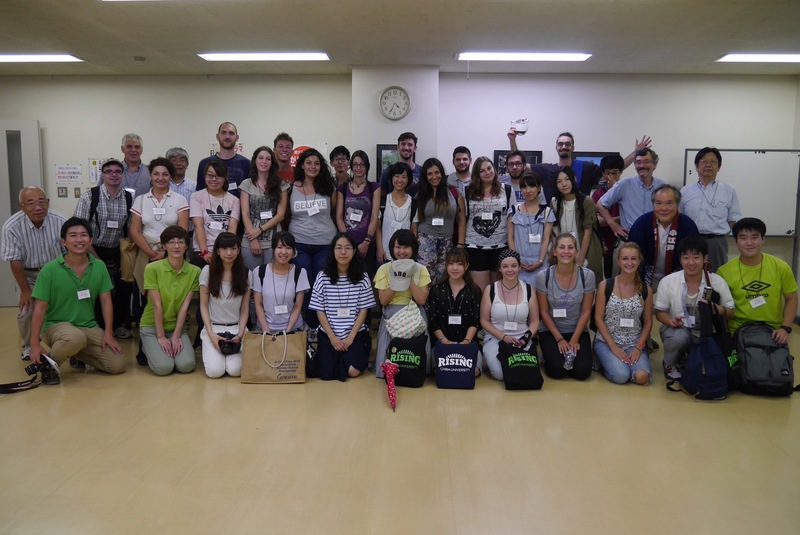 Thanks to the invaluable cooperation of Professor Fukukawa, Mr Takahashi (the project leader) and local volunteers, a full day of activities were organized for us at Sawara’s Visitors Centre, starting with a guided tour of the traditional district’s landmark architectural spots, the local dashi (decorated festival floats) museum, and the local souvenir shops. 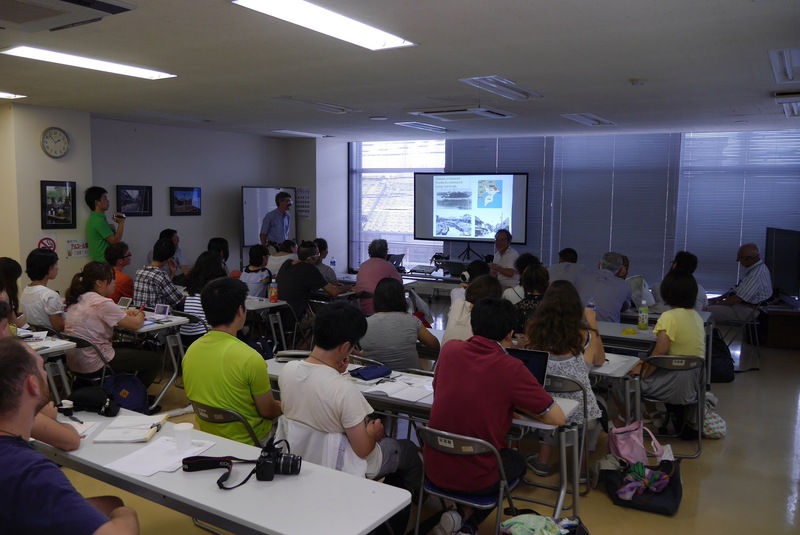 In the afternoon, two fascinating lectures were given in Japanese (and interpreted in English by Professor Morris): the first lecture by Professor Fukukawa explained the nature of the project in Sawara and compared it with national trends, and also offered a spatial analysis of the town informed by the local history. 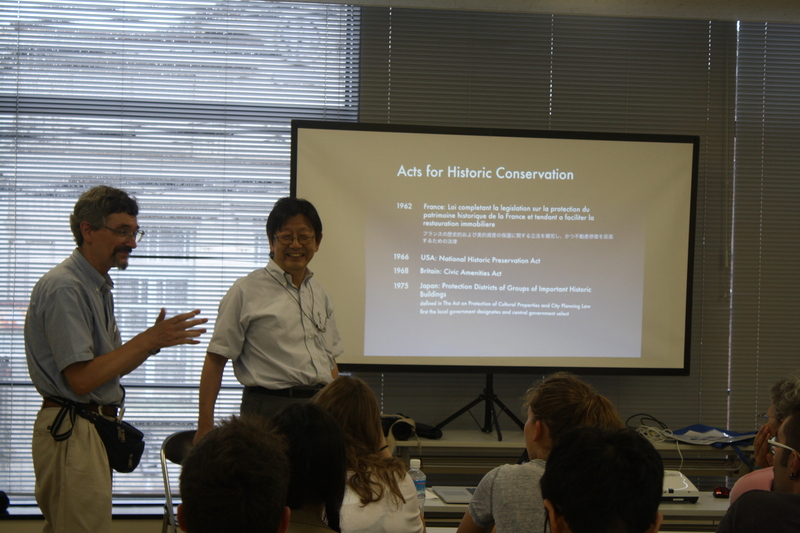 The second lecture by Mr Takahashi delved into the practicalities and especially difficulties of convincing the town of the worth of its cultural resources, and of gaining the cooperation of local residents and administrators in order to build a sustainable project. 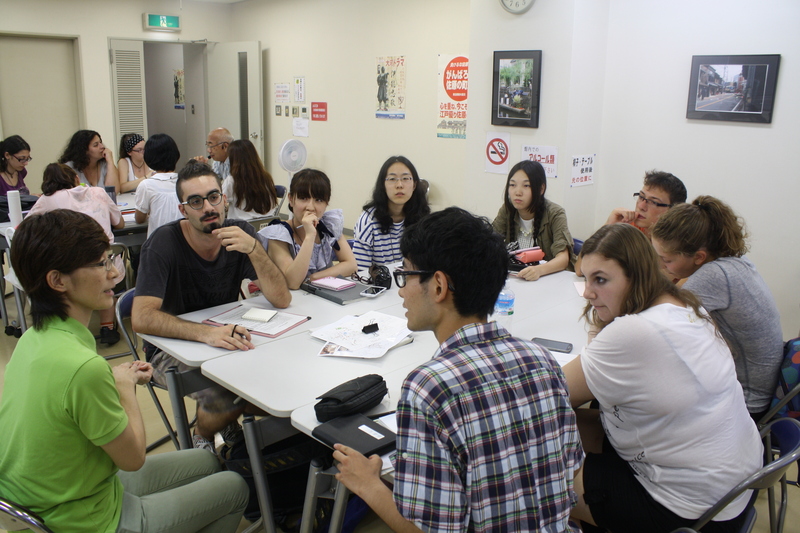 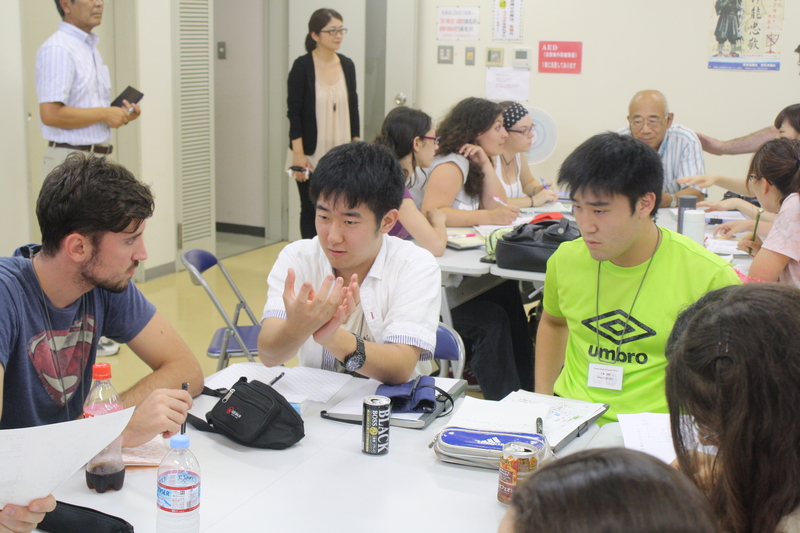 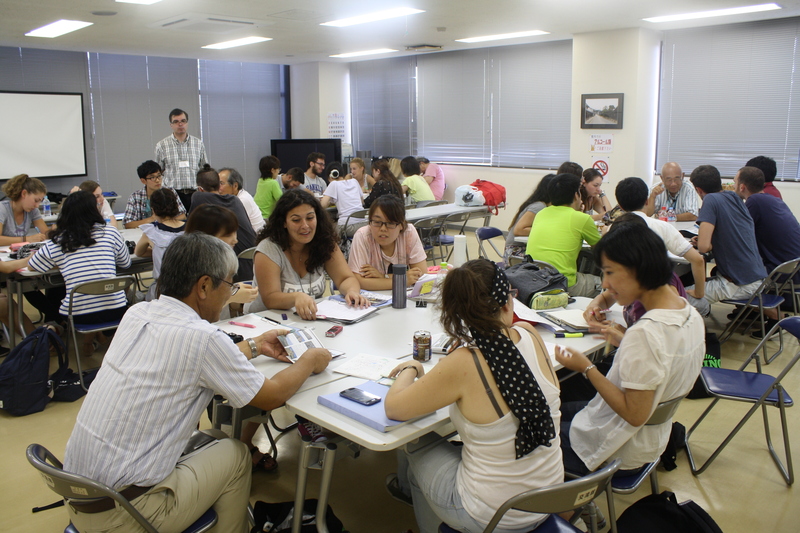 After the lectures, students were split in four groups and offered the chance to ask questions to local residents about their daily lives, their contribution to Sawara’s development project, and about their impression of the project and of the impact on the local community. 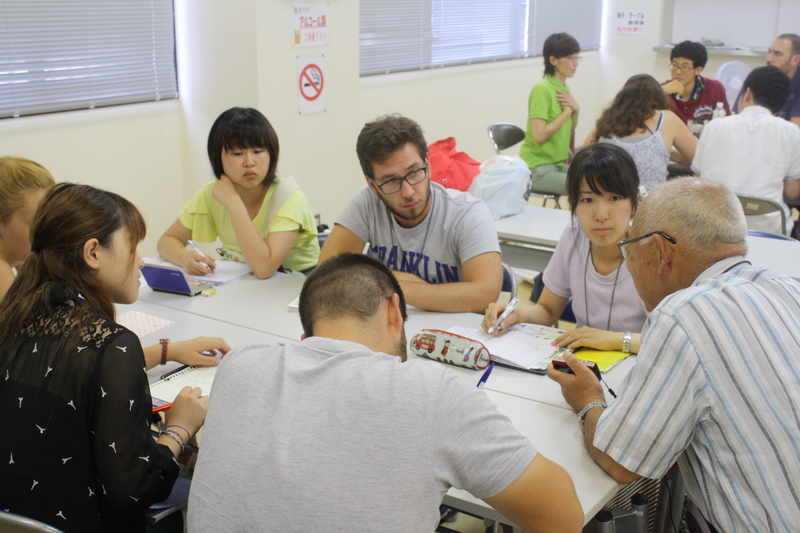 Our investigation of Sawara was meant to allow participant students to, this time, learn about a successful community-based project, about the way this kind of project is put up and managed, and about the eventual issues that remain even after the completion of such a project.